I recognise myself in the pages written by the brave contributors to this book, as will other readers who struggle with the complex and conflicting emotions of losing a loved sibling. Realising that others also struggle with grief and have feelings of guilt is a repeated thread in the stories that weave readers together, giving them the realisation that they are not the odd one out, but that their reactions are “normal” in a heart-rending situation. This book is like a cocoon. It is beautiful from start to finish. The growth and transformation about such grief is anticipated and transparent yet mesmerising through its entire unfolding. 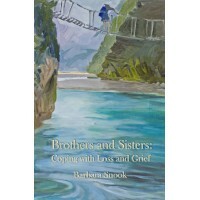 It holds the reader, in the same way that siblings who have lost (and actually anyone who has lost a loved one) – need to be held and need to be seen, as they transit their own unique process. Barbara Snook offers insights into a range of people’s experiences with the loss of a family member. 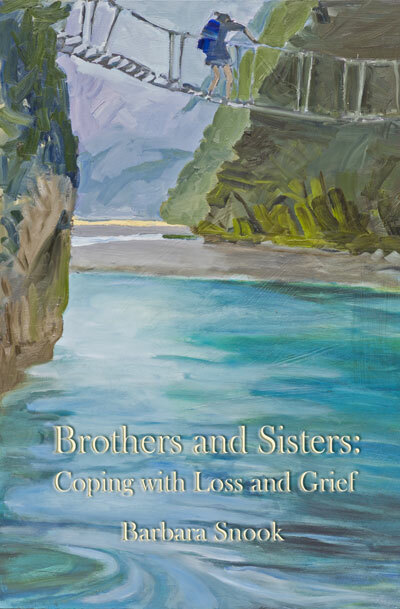 It normalizes the variety of experiences of grieving, that it is not a linear process, not something to get over, rather the impacts are lifelong and require developing ways to live with the grief.